"No longer numbing myself with smoking, drinking and too much work, I was becoming more and more aware of things that I'd chosen not to look at," Bündchen recalls in PORTER's Spring issue cover story. "Was I alone in wanting to do some serious soul-searching while he stayed the same? In the end, unfortunately, the answer was yes." 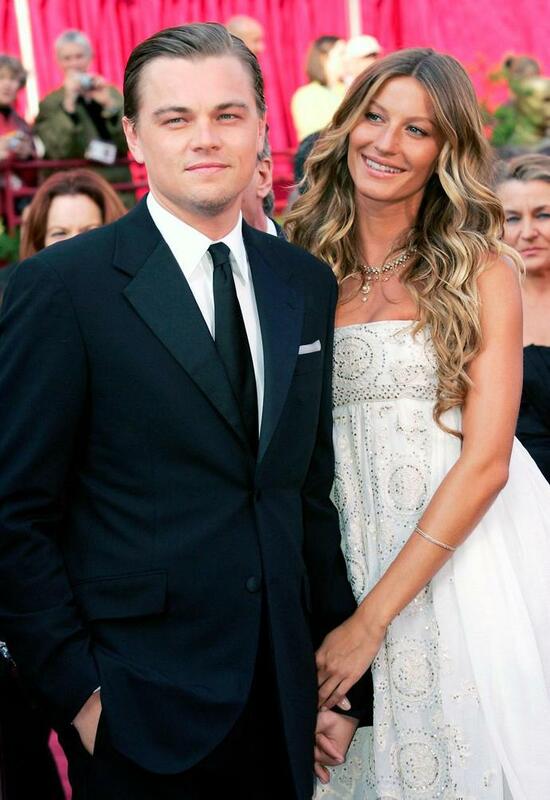 Bündchen, 38, and DiCaprio, 44, dated for 5 years from 2000 to 2005 and were inseparable. She was even his date to the 2005 Oscars where he was nominated for The Aviator - the only time he's brought a girlfriend as his date to the ceremony. She's now married to New England Patriots star quarterback Tom Brady. The Brazilian model began dating Brady, 41, in late 2006 after her breakup from DiCaprio, and the two married in early 2009. They welcomed son Benjamin, 9, later that year and daughter Vivian Lake, 6, in 2010. They also coparent Brady's 11-year-old son Jack from his previous relationship with Bridget Moynahan. And while Bündchen is the one known for her glamorous turns on the runway, the former model says it's her husband who values clothes more in their relationship. "I'm a jeans and T-shirt kinda girl. If you see me once a year at the Met [Gala] dressed up, it's because I have to wear a dress, otherwise I'd show up like this," she admits. "It's so funny. Tom actually loves clothes more than I do. Sometimes I'm like, 'What is all this clothing that is showing up at my house?' He just loves it. The only time he asks me advice about clothes is when we go to the Met Ball, and he wants to coordinate with what I'm wearing." To see the full cover story and interviews, buy the latest issue of PORTER, on sale February 8, available in both print and digital editions, or visit PORTER.com.